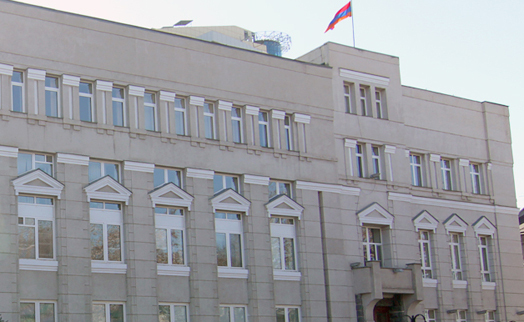 YEREVAN, November 21. /ARKA/. 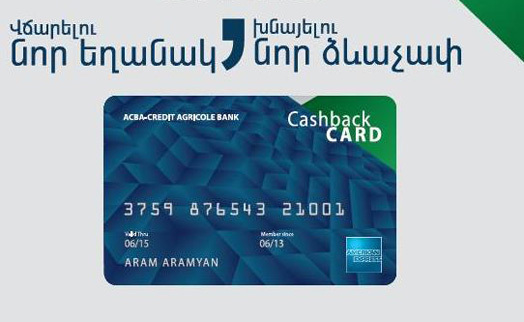 ACBA-CREDIT AGRICOLE BANK, the exclusive representative of American Express in Armenia, will issue American Express Gold and American Express Blue chip cards, enabled with contactless payment technology, the Yerevan-based bank said today in a press release, saying also the new cards will be more convenient and safer to use. According to the press release, contactless technology clients to pay simply by tapping their cards against a contactless enabled terminal. 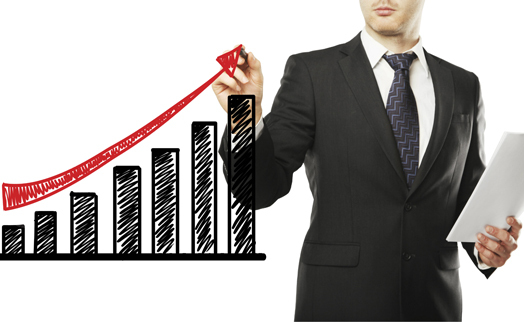 Thus, this technology enables allows clients to make payments as quickly, easily and safely as possible. 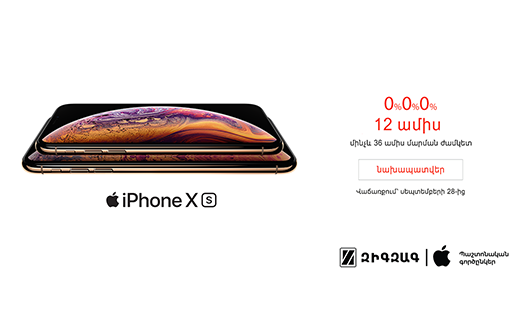 If the transaction amount does not exceed 10,000 Armenian drams, there is no need to tap the card through the terminal, enter the PIN-code and sign the payment receipt. 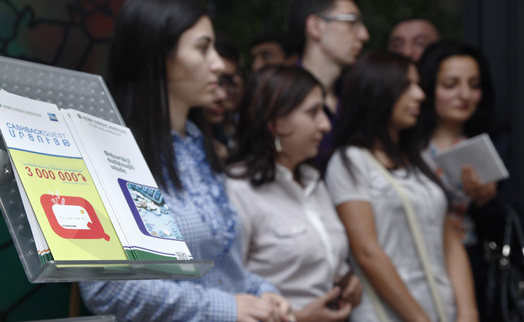 At the same time, the new cards will have also magnetic tapes enabling cardholders to make transaction via other terminals, not equipped with contactless payment technology. 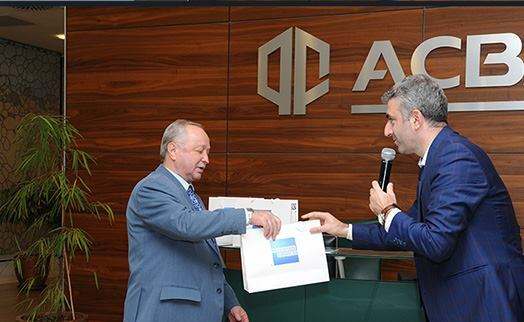 "We are proud to introduce the contactless payments technology to cardholders of our American Express Gold and American Express Blue cards", - said ACBA-CREDIT AGRICOLE BANK CEO Hakob Andreasyan. 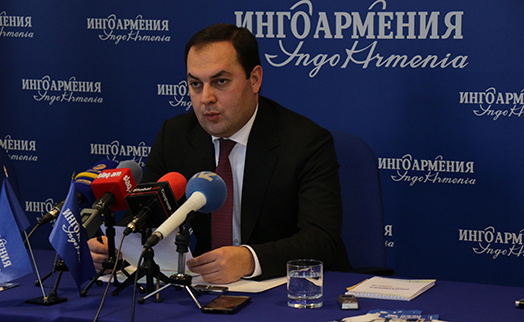 According to him, the introduction of this new technology is another important step in the development of innovative payment options. 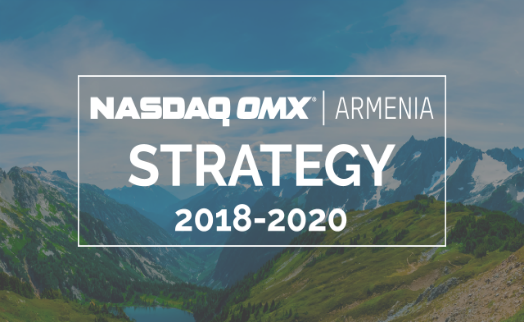 "We are confident that this will have a positive effect both on the cardholder and the trade and service points, as the latter will be able to more quickly service their clients," - Andreasyan said. 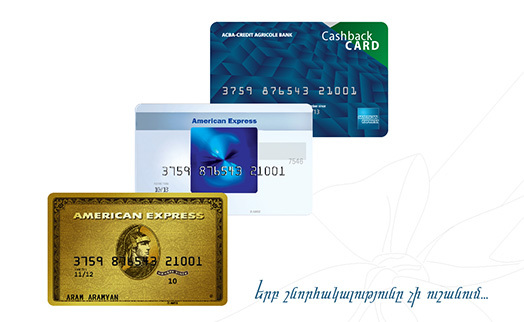 To replace the existing American Express Gold and American Express Blue cards with contactless cards the cardholders should contact the branch of ACBA-CREDIT AGRICOLE BANK, which issued their cards or fill out an online replacement application. 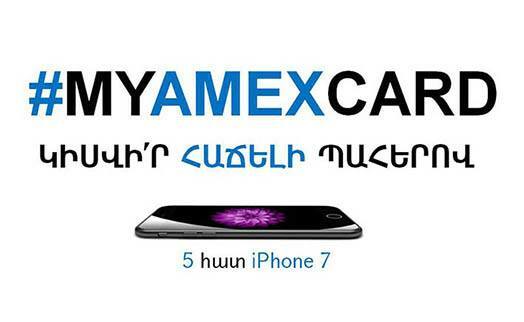 For more information, as well as for ordering contactless American Express cards one can call 010 31 99 99, visit the official website www.americanexpress.am or fill out an online application form to order American Express Gold or American Express Blue chip cards. 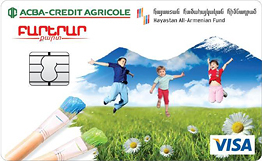 Successful cooperation between ACBA-CREDIT AGRICOLE BANK and American Express started in 2009, ushering in a significant expansion of infrastructure for servicing of American Express cards in Armenia. 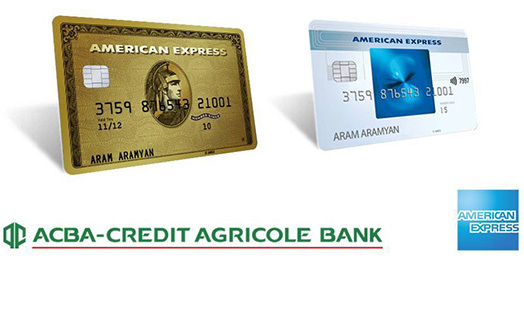 In 2010, ACBA-CREDIT AGRICOLE BANK issued the first American Express cards - American Express Gold, which provided a package of additional services. 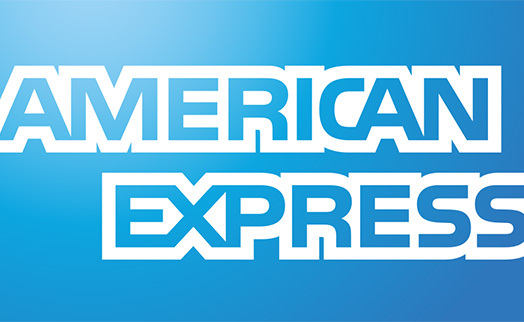 In 2011, the Bank issued an innovative and contemporary American Express Blue cards, which offer their owners bonuses for daily expenses and benefits that are consonant with the requirements of modern and young consumers. 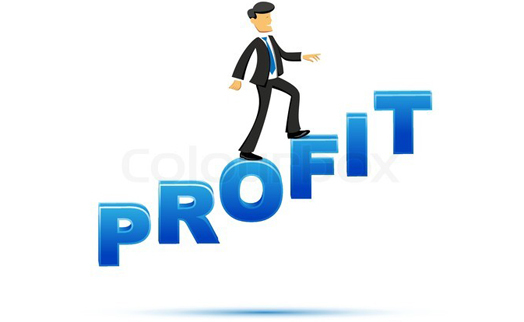 In 2014, the Bank issued the third type of cards - American Express Cashback, which has already become the preferred means of payment for many cardholders through Cashback-am paid to the cardholders with no maximum amount.